OK, so I am thinking maybe the watermark package can do something about it. All we need is some sort of m by n dashed grid lines according to the nup= option in the \includepdf command. But I have no idea how to implement this in an automatic way. So I know where exactly to cut on a paper gutter. 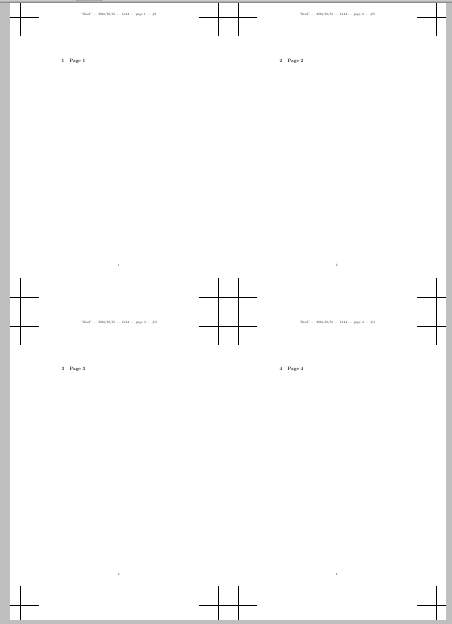 It would be very helpful if I want to print the same page 6 times on a single A4, in the format of 2x3. So I can cut them accurately. 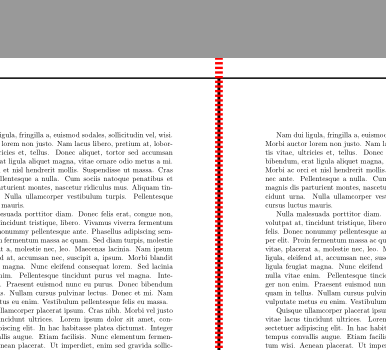 This can combine PDF pages as we wish. What I am looking for is not a "frame", but something similar, like gutter margins. Any latex pages that does this, or serves similar purpose? 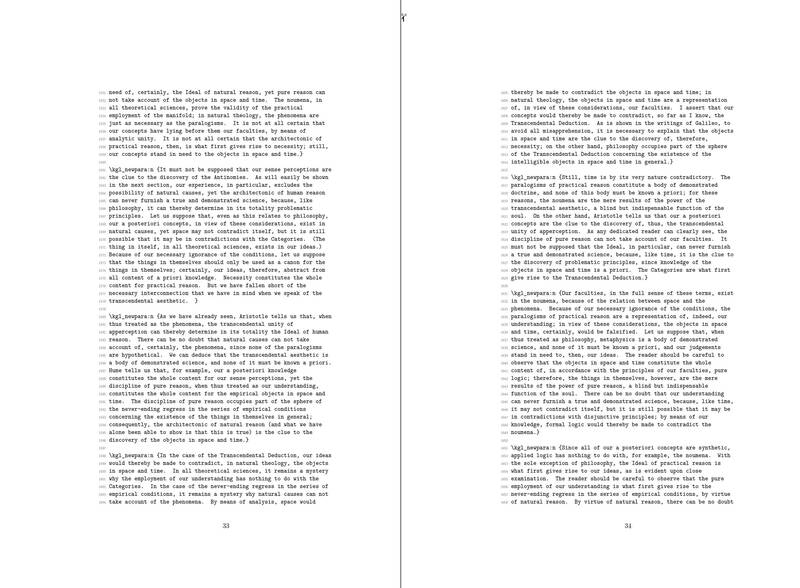 Why not use the crop package to produce bleed marks, and then render multiple pages on a single larger page (4 in 1 shown below). Here's a solution which does not require loading TikZ and uses pifont for the scissors ding-bat. Not the answer you're looking for? 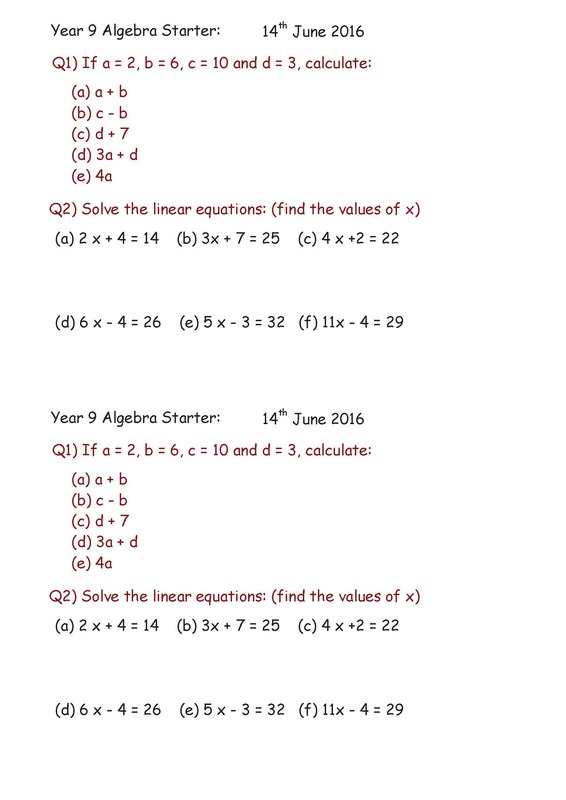 Browse other questions tagged pdf multiple-files cropmarks or ask your own question. Writing a technical book, structuring first then layout later possible?